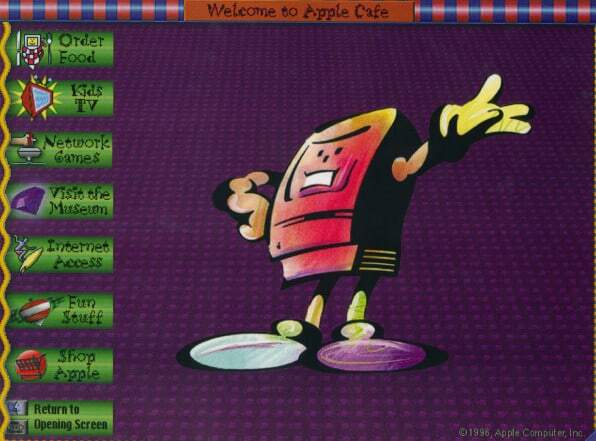 Apple Cafes were set to sweep the world. They didn't. November 12, 1996: Apple lays out a wild plan to get into the restaurant business, saying it will open a chain of Apple Cafes. A bit like Apple Stores without the computers and iPhones for sale, the restaurants would open in cities around the world. The first, Apple says, will be a 15,000-square-foot restaurant in Los Angeles, opening in late 1997. Spoiler alert: None of this winds up happening. 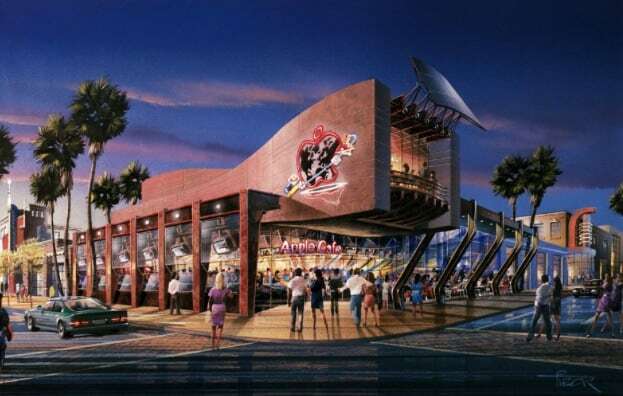 At a time when theme restaurants like Planet Hollywood were going gangbusters, the concept of hooking up with a tech company — albeit an ailing one — to sell food seemed as serious as lots of dot-com era business plans. An inside glimpse of how the Apple Cafe might have looked. The retro-styled Apple Cafes would boast seating for around 250 patrons. Customers would take advantage of internet connections, CD-ROM access and FaceTime-style videoconferencing between tables. 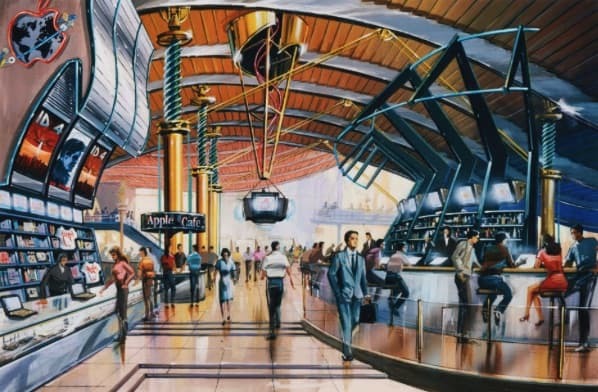 Small shops within the restaurants would sell Apple merchandise and software. Alongside Los Angeles, Apple scouted potential locations in London, Paris, New York, Tokyo and Sydney. The Apple Cafe plan sounds like a wacky idea now. However, the idea of a computer company running a restaurant chain isn’t quite as obviously doomed as it might sound. Chuck E. Cheese’s, which originally built its name on combining food, animated entertainment, and an indoor video arcade, was founded in 1977 by Atari founder Nolan Bushnell — aka the person who gave Steve Jobs one of his first big breaks in the tech industry. Here’s how you would have ordered your food. The following year, Jobs came back to Apple. He wisely streamlined all the distracting side projects in favor of building products like the iMac G3. On balance, we can’t say that’s totally the wrong idea. Even though we would totally have stopped by for a plate of tacOS and Jony Chive dip!